Need to add some sparkle to your next party or event? We at Where's My Unicorn believe laughter is the best medicine. 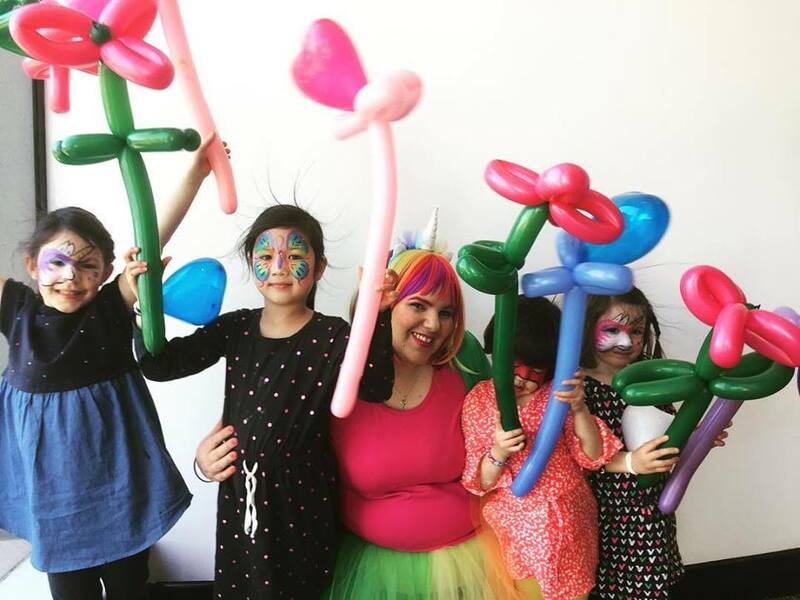 By sharing our love of dance and play our team of Unicorns hope to bring plenty of hula hoop fun, face painting shenanigans and balloon twisting laughs, not to mention general goofing around as you do at parties to all those around us. Let us help you find your unicorn. Take a look at what we're up to and where we're searching for unicorns!. Come visit Janelle from Where's My Unicorn? each Saturday at the Hank Marvin Markets at Alma Park St Kilda from 9 to 3pm. 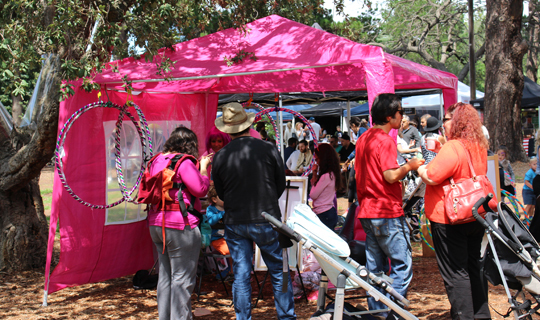 Face Painting all day, hand made Hula Hoops made by unicorns for sale with a little balloon twist here and there for good measure. Check out the delicious food trucks and or sip on a cider and listen to some chill out tunes in the sun. Yup that's right, we're fully trained and certified to teach you how to hoop! 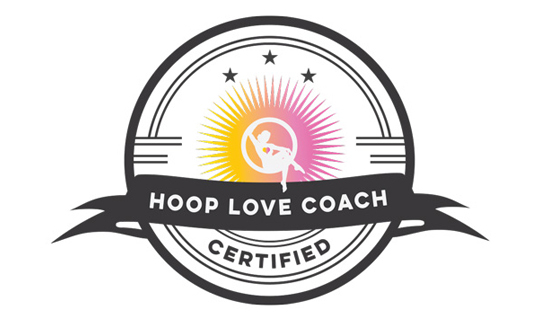 We studied, trained, studied some more and got our Hoop Love Certification. We're trained in adult and kids hoop dance facilitation. So come and get your hula hoop on with Where's My Unicorn? New to Where's My Unicorn? UV Painting! It Glow's in Black Light! Where's My Unicorn? 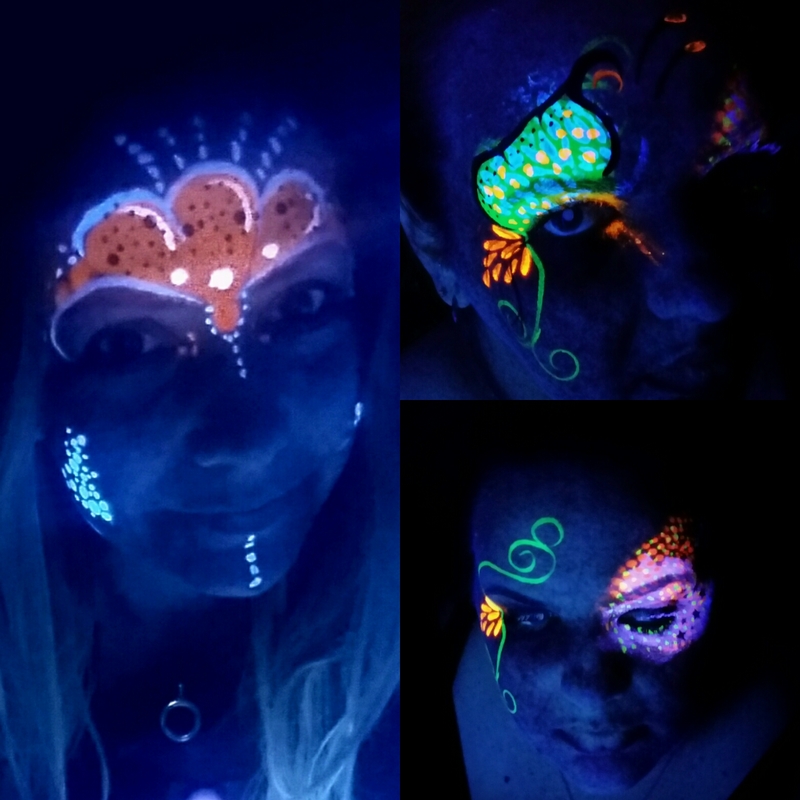 has been busy stocking up on new UV Face Paint's, Black Light's and Glitters to bring to you our new Black Light Party Package! Call your friends, put on your disco white's and summon your inner dance queen for a night of UV face painting, dancing and games. See our Package Options page or click the image below for more detail.